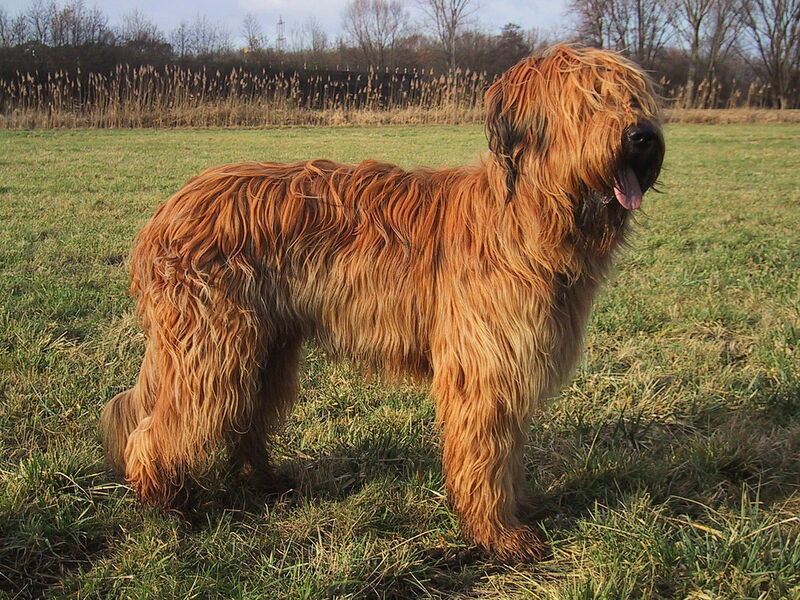 Briard is a large breed of ancient herding dog which originated in France. These affectionate and loving dogs were previously used to herd sheep. They possess the ability to take commands and complete the tasks that were expected. 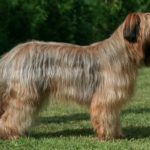 If you are looking out for a dog that is powerful, long, agile and quick moving then Briard can be a good option. 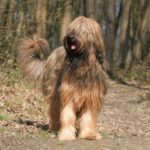 They have a rustic, shaggy and tousled coat which makes them so much lovable and adorable. They are an excellent family pet with great intelligence and understanding. 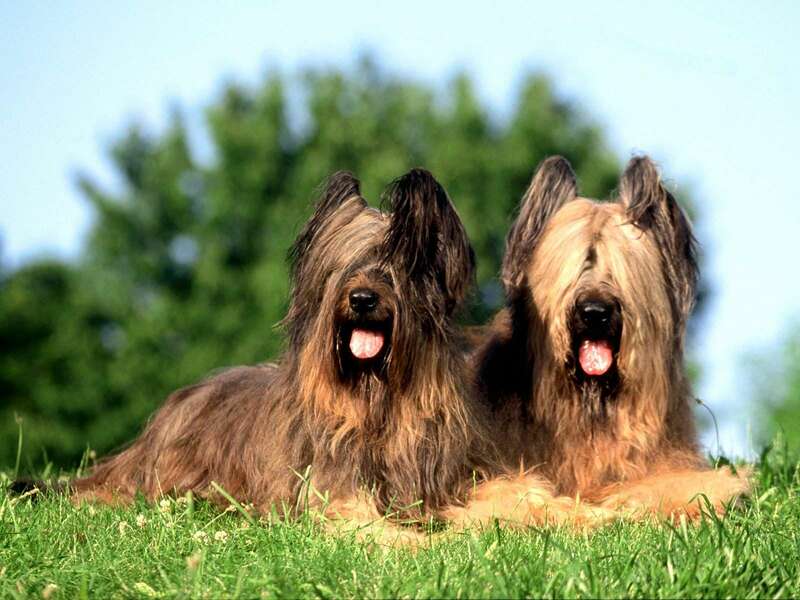 The French army used these breeds in the World War I & II to carry dangerous supplies to the troops in the battles. These breeds have sensitive hearing and hence they were used during wars to search the injured soldiers. They have double coating; the undercoat is tight and fine whereas the outer coat is rough falling down like waves. They enjoy hiking, jogging, swimming and camping. They like to be around humans and enjoy their company. 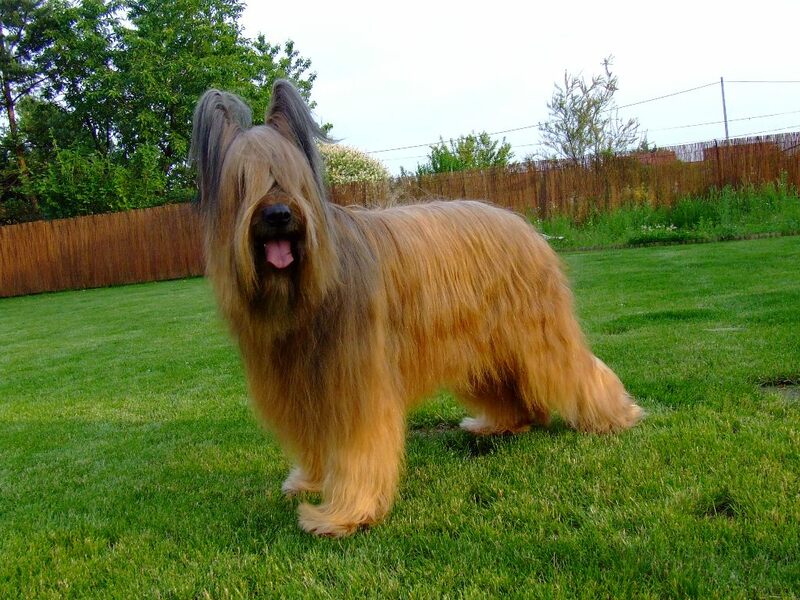 Briards are very active breed. 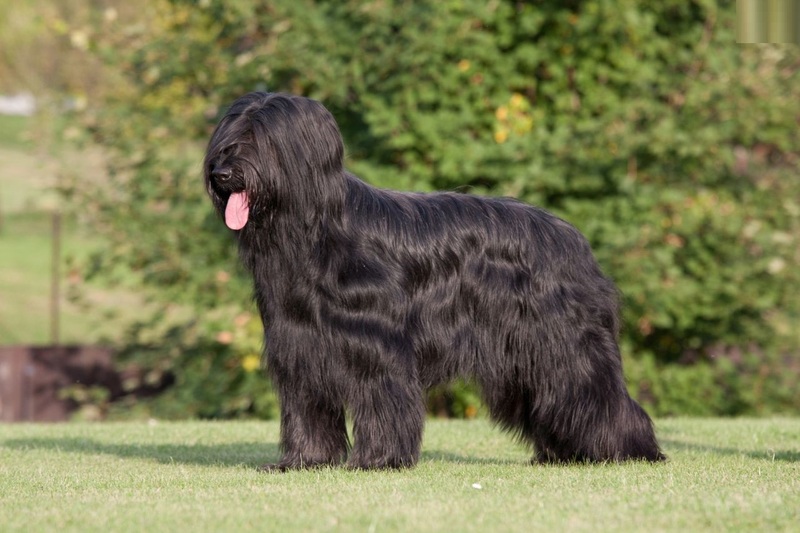 You should offer enough nutritious food to your Briard. But it is better not to leave the food there as they will overeat and bloat. You can provide multiple feedings to them. Their diet may include fruits and meat. Avoid giving large quantity of gluten and grains. 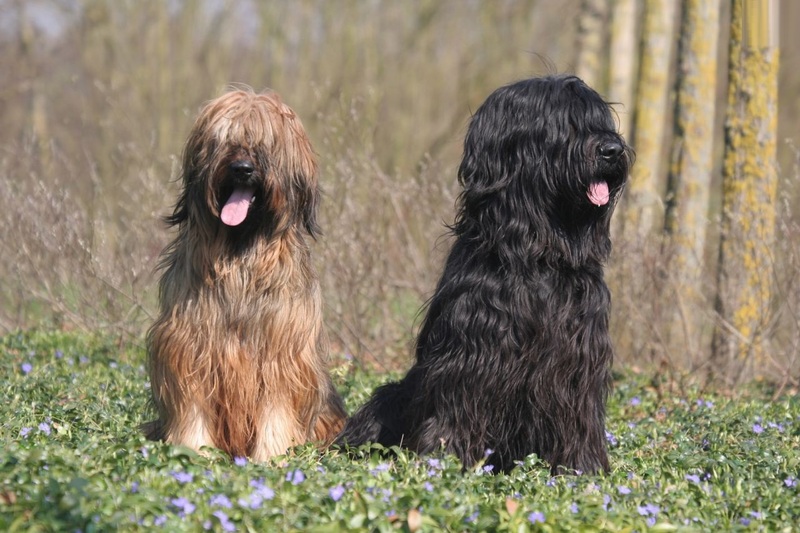 The Briards originated from France earlier than 8th century. They were used for guarding and herding the livestock as well the farm and houses. 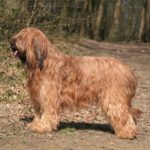 They were first registered with the American Kennel Club in the year 1922. 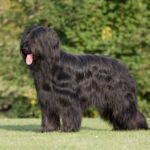 Briards are one of the best companion an owner can have. If trained properly they can socialize with other pets too. However Briads should be distanced from reptiles, rodents or birds. 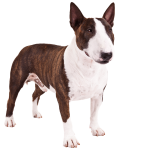 These breeds are independent by nature and a fast learn. 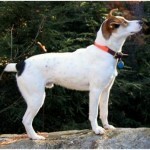 They can be trained easily and can respond well to the owners commands. The owner needs to be patient, confident and consistent when training. 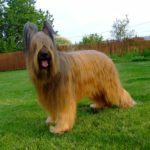 Briards are intelligent, large, obedient and active breed of dogs which has the ability to turn a dog hater into a dog lover. Briads are very friendly and loyal by nature. They can easily co-exist with other pets and safe for children as well. These breed do not trust strangers. Briads learn faster when taught with love and respect. You should be physical with them. 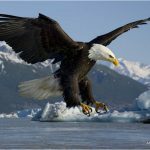 Their quick learning abilities enable them to learn new task and tricks easily. Briads are lovable as they are fast, athletic and agile. They also enjoy tracking, herding, agility, carting and new task. These dogs find pleasure in water be it in mud puddle, pool or lake. Briads are a good watchdog and very protective towards their owners and children. Sometime Briads can be dominating if they do not get opportunities for socializing. Such dogs turn out to be aggressive and overprotective. A male Briads can grow up to 23 to 27 inches at the shoulder whereas the females grow up to 22 to 25 ½ inches tall. They grow fully at 6 to 8 months but attain maturity on completing one or two years. They have a life expectancy of 10 to 12 years. The female Briad can give birth to 8 to 10 puppies. The color of the puppy Briads are light when they are 3 to 4 months old and still lighten until they are 2 years of age. The color of the coat turns red or deep gold when they turn adults. The actual origin of Briads is still unknown. 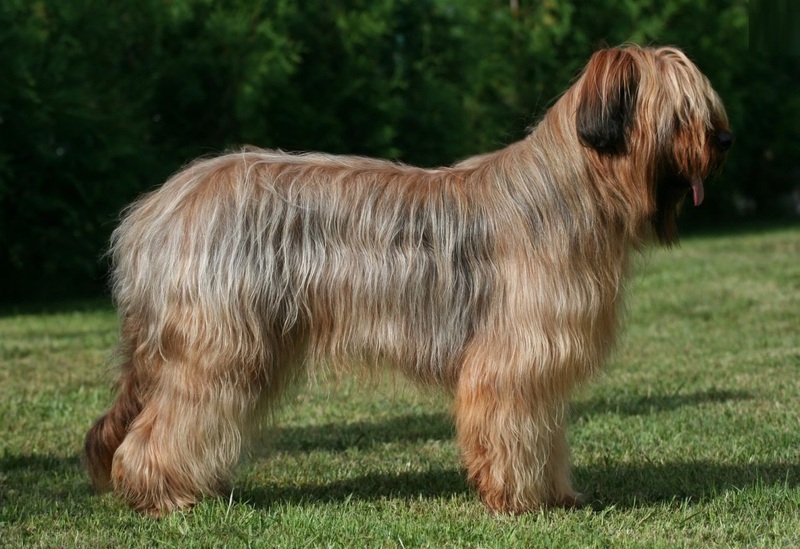 Records reveal the existence of this breed in the 12th century. The farmers and the shepherds breed these dogs to protect their pastures and property. They were also used by the French army during battles. Briads come in variations of colors like gray, black or brown. They have a long furry coat which requires proper grooming. The outer coat is hard, dry and coarse. Their long wavy locks fall down naturally. The hair length on their shoulders is normally 6 inches or even more. The undercoat is tight and fine all over the body. The hair covers the head and the eyebrows that protect the eyes. The eyebrows are arched shaped. The hair is abundant but in no way will cover the eyes of Briads. 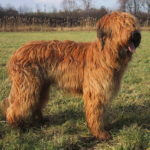 These brreds are agile, rugged and medium sized dogs which have a unique feature of having additional toes in their rear leg. 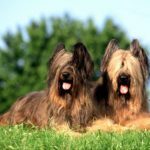 These breeds can live up to 10 or 12 years. Briads are prone to hip dysplasia and bloating. They also suffer from other illness like Elbow dysplasia, Hypothyroidism, Von Willebrand’s disease, Progressive Retinal Atrophy (PRA), Congenital Stationary Night Blindness, Gastric Torsion and cancer etc. Few of the diseases are life threatening and it is important to take precautions and prevent the diseases through regular checkups and diagnosis. The owners should undertake regular exercise and proper feeding practices too which can make a huge difference in their health. 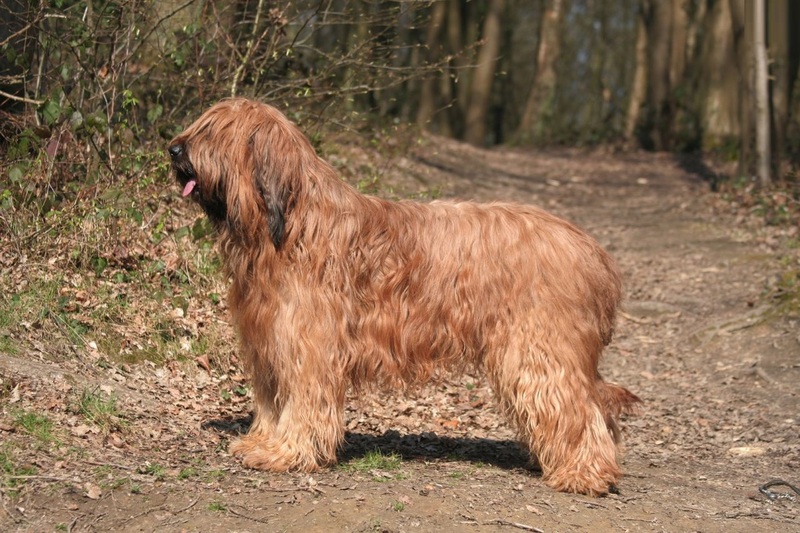 Briads have dense and long coats which require proper grooming to maintain their quality and appearance. The coat should be brushed 3 to 4 times in a week. Using a damp cloth the coat should be rubbed to make it clean. Trimming of coat is also recommended to prevent the hair from matting. 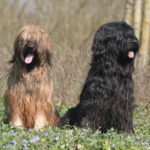 These breeds can be give bath but their coat should be dried properly after bath. Their ears and eyes should also be checked and clean to safeguard them from any type of infections. Their nails should be checked and trimmed too whenever needed. 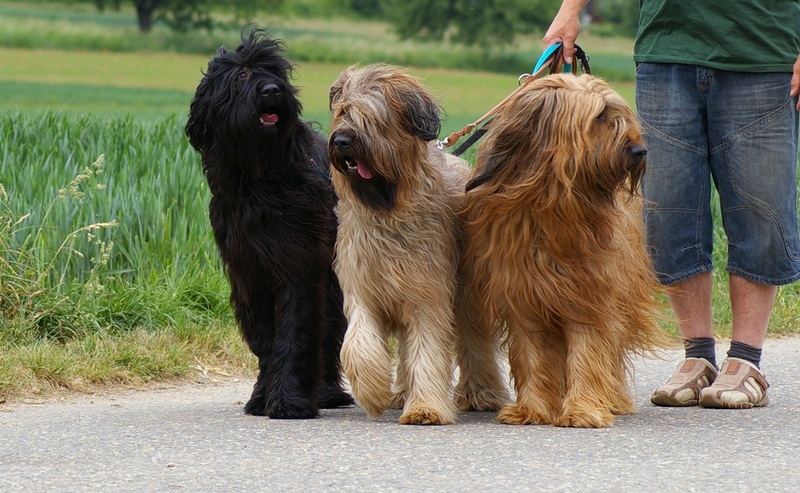 Walking, jogging, exercise is also important for these breeds to remain active. Briads do shed but not excessively. Many a times the shed hair gets tangled with their long wavy hair and do not fall down on the floor. Thus brushing is very important for them to remove these shed hairs. The hair is shed from the undercoat which is soft. 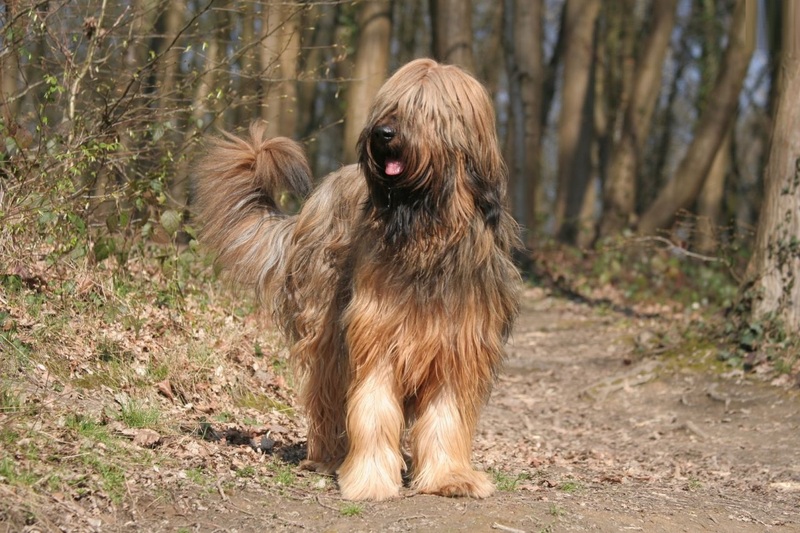 To avoid matting it is important to brush their coat regularly using proper grooming combs and tools. Briads are normally referred to as “heart of gold wrapped in fur”. Once they get adjusted with their owners and their families they become protective towards them. 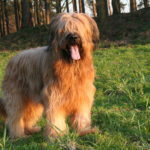 These breeds are aggressive but not harmful if proper training is provided. They are affectionate, loving, caring, loyal active, smart, emotional and enthusiastic. 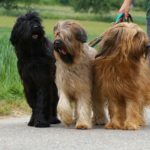 These breeds should be taken out for socializing to enhance their friendly nature. They are stubborn and strong minded at times and should be taught about good and bad and other such things. They have a strong memory and good smelling skill. 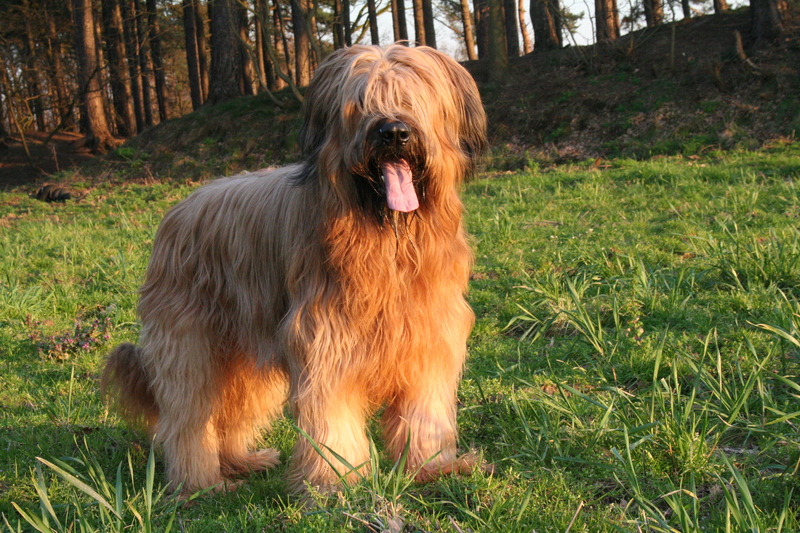 Grooming is the only maintenance that is required for this breed.